Supplied complete with quality braided stainless steel connection hoses, mains power cable and inlet filters. Positive head only. 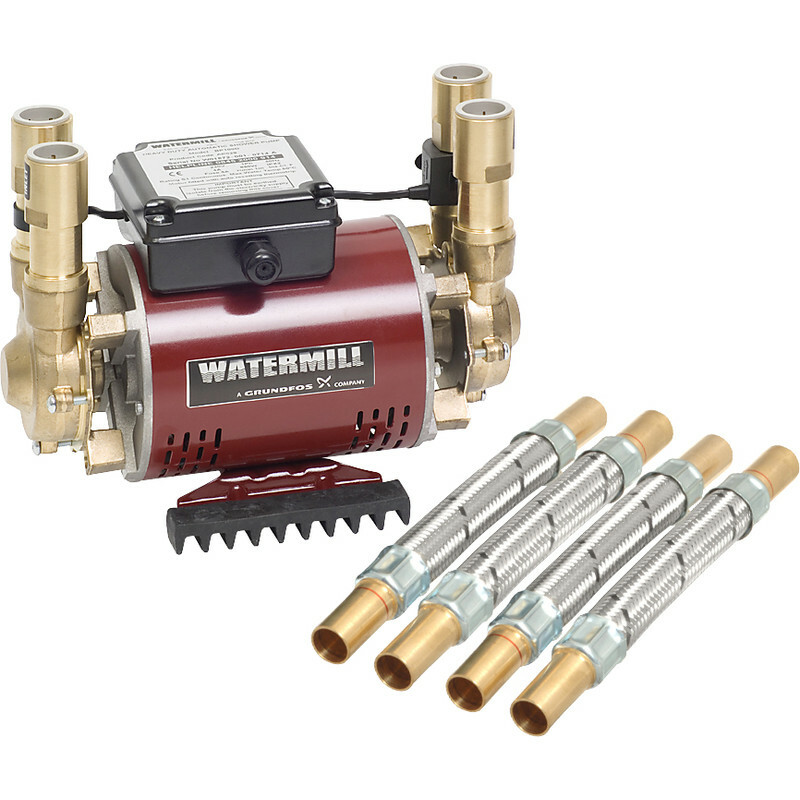 Brass Twin Impeller Shower Pump 3.0 Bar is rated 4.7 out of 5 by 3. Rated 4 out of 5 by Tickle from Good, but not perfect. Pump itself is very efficient and quiet. The supplied hoses are very stiff and tend to start kinking if bent approaching a right angle. This made installation in my situation much more difficult. Tendency to leak on the push fit connection between pump and hose.